Leading advertisers have trusted 888 Media to deliver remarkable results with proven cross-platform, industry-specific solutions. 888 Media enables advertisers of all kinds the ability to secure cost effective interactive media, in a global marketplace. Whether the stated goal is driven by branding or ROI metrics, the success of any campaign ultimately rests on the advertiser's ability to define, identify, and target an audience most likely to respond to what is being offered. Our Advertiser support team provides a managed service for agencies, advertisers and other buyers. It enables them the opportunity to gain greater audience transparency and deeper engagements across digital channels from display and video to social and mobile. Benefits of this service include dedicated account management and media buying teams, access to the latest programmatic buying and audience data platforms. With 888 Media’s Managed Services, we make it easy to access premium publishers and reach your target audience. From our expert data gurus, to our top performing sales teams and friendly account managers, our people are the reason we continue to run campaigns that exceed client expectations. Access multiple inventory sources via our DSP and reach audiences across 350M global unique visitors. Our experienced advertiser support team is always here to help. Everything we do is geared towards helping you get the highest possible return for your inventory. As a 888 Media publisher, you possess the right to approve or decline any advertiser at any time. Our Publisher User Interface is intuitive, providing real-time campaign performance, activity, fill rate, and revenue earning data in real time. 888 Media brings you quality ads from the leading advertisers around the world. While much of these ads come from direct advertisers, we also have extensive relationships with the largest exchanges in the industry, ensuring that just about every impression served is monetized. Our experienced publisher support team is always here to help. Access to over 70 Billion impressions (Display, Mobile, Video) a Month across over 33 Countries. Safely transact with 6,500+ vetted publishers. 888 Media's screening process and Quality Assurance team ensures marketers can conduct business with minimal risk. 888 Media provides unlimited access to inventory on virtually ever major exchange, marketplace and Supply Side Platform (SSP). Access to over 60 Billion impressions a Month across over 33 Countries. 888 Media provides unlimited access to inventory on virtually every major exchange, marketplace and Supply Side Platform (SSP). Connect with mobile users at any location. 888 Media delivers scalable mobile inventory and solutions on a global level. We make it easy to launch your mobile marketing campaigns. As the number of mobile phone users is on the increase, buyers are finding more efficient means to reach a roving audience. 888 Media delivers direct access to over a hundred mobile Sellers with unmatched reach, tracking and targeting capabilities. For Buyers new to the mobile landscape, our team of marketing experts can help develop all necessary assets and creative, including mobile display ads, landing pages and ad copy. Furthermore, our technology conforms to your existing tracking systems, enabling seamless integration to support your mobile marketing efforts. Confidently manage every aspect of your digital marketing strategy with 888 Media’s demand -side platform (DSP). 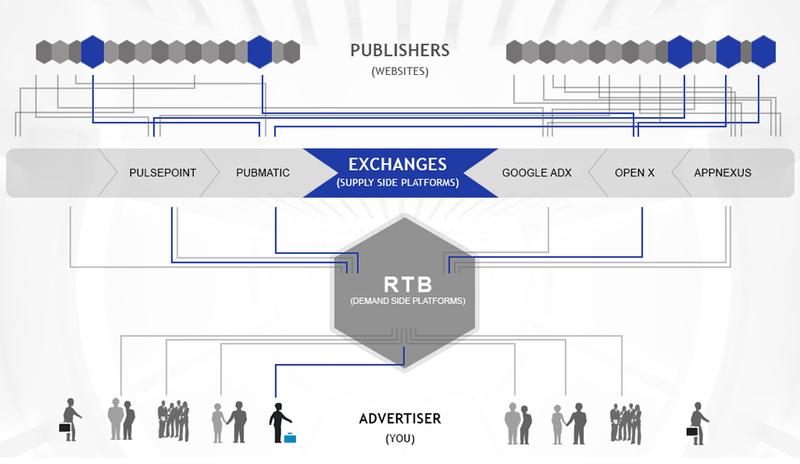 Real-Time-Bidding:- Real-time bidding (RTB) technology places your message in front of the right audience, at the right time, on any device. 888 Media’s offers access to over 10.9 billion daily impressions across the entire digital – online, mobile and social – advertising ecosystem. Targeting:- Granular targeting and retargeting capabilities combine with first- and third-party audience data to ensure relevance for each impression. Use over 1,000 targeting filters – including demographic and behavioral traits, geography and device type – and apply them across any number of campaigns. Brand safety:- Safeguarding your brand’s image is our priority. 888 Media’s in-house management team, analyzes the capabilities, site content and traffic reports of potential publishing partners to develop white lists for selected campaigns. American Apparel is a leading global brand with over 260 stores worldwide in 19 countries and with revenues exceeding $500 Million yearly. It is a vertically integrated clothing manufacturer, wholesaler, and retailer that also performs its own design, advertising, and marketing. It is best known for making basic, solid-color cotton knitwear such as T-shirts and underwear, but in recent years it has expanded—to include leggings, leotards, tank tops, vintage clothing, dresses, pants, denim, nail polish, bedding and accessories for men, women, children, babies, and dogs in various prints and colors. American Apparel partners with 888 Media to promote the brand to European consumers. Results:"Since working we started working with 888 Media on our European Campaign, we have seen our customer base grow from strength to strength. 888 Media’s account management team has worked with us to provide exceptional performance month by month."